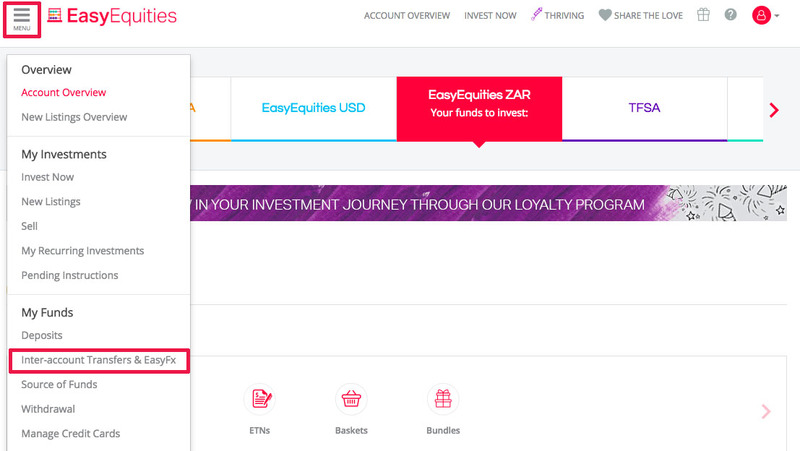 Because so many of you are growing in your investment journeys and exploring more than one account to invest in, we thought it was about time we gave you an extended visa on getting money in and out of your EasyEquities ZAR account quickly and easily. Who's got time for depositing separately each time, pffft! Spend your time in the markets instead, we say. You deposit funds into your EasyEquities ZAR account as you have always done - via EFT, credit card or SID. 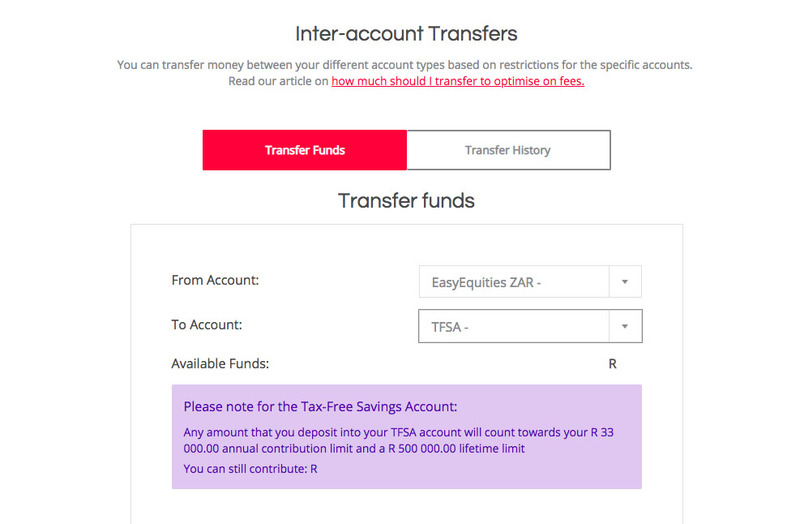 Once your funds have gone through to your account, log in and select the Menu icon in the top left corner, then select Inter-Account Transfers and EasyFX. Enter the amount you would like to transfer and… whoop there it is. If you’re transferring into your TFSA you’ll also get to see how much more of your annual R33 000 limit you have left to contribute for the year. 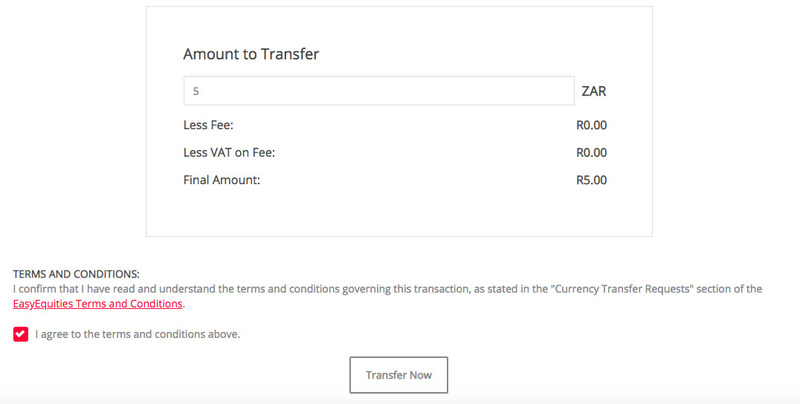 If you’re using EasyFX to transfer your Rands into Dollars you’ll have a window period to cancel your transaction before it goes through and can have a look at our pricing guide to help you decide what amount makes sense for you. You’ve always wanted to be able to give the gift that keeps on growing, tax free. 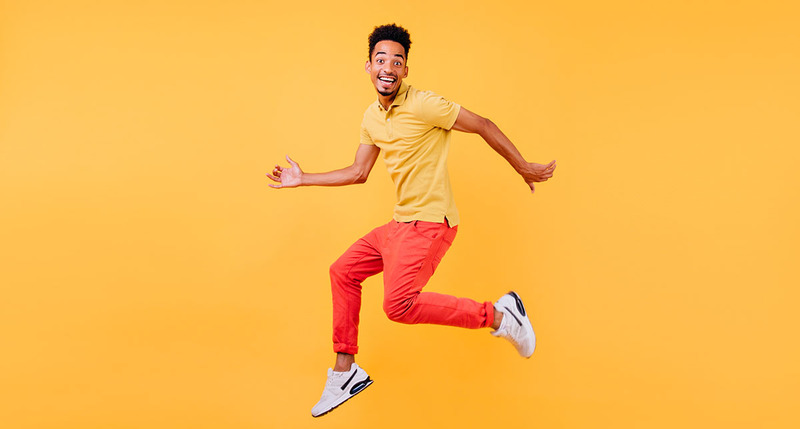 Our new transfer swag means you can send EasyEquities vouchers to your friends and family, and they’ll be able to transfer this investment spend into their TFSA if they wish. Once you have made a transfer into another account, you can invest the funds right away, but you won't be able to withdraw the money back into your bank account for 40 days. This is just a measure we take to make sure we tick all the legal boxes, and ensure that money isn't withdrawn from your account before it's been properly cleared by your bank.